Many love teaching in Minnesota because they love living in Minnesota. The culture is warm and friendly, and the magnificence of The Land of 10,000 Lakes is breathtaking. Outdoor fun, arts and culture, and some of the best hiking and biking trails in the world make Minnesota an attractive place to live. The state is also working hard to create an attractive educational environment for its teachers and students. Beginning your own teaching career in Minnesota will provide numerous opportunities to make a difference in students’ lives while also enjoying all the amenities Minnesota has to offer. What are some of the benefits of becoming a teacher in Minnesota? How do I become a teacher in Minnesota? In 2012, Minnesota received a federal No Child Left Behind waiver. The waiver enabled legislators to adopt a new school ranking system, in order to better track performance and hold schools accountable. Criteria for the new system includes student scores in math and reading, academic growth in individual students, high-school graduation rate, the reduction of the achievement gap between middle-class white students and their classmates. Fifteen percent of failing poverty-level schools have been temporarily placed under a separate assessment program. What kind of salary can I earn in Minnesota? Below is a sampling from the Minnesota Board of Education’s 2012-2013 teacher salary schedule. These figures do not include additional performance-pay incentives offered by school entities or programs. Minnesota has also hotly debated right-to-work legislation, which would prohibit all unions from requiring dues or fees from non-members, as well curtail retention or recruitment of members by those unions. 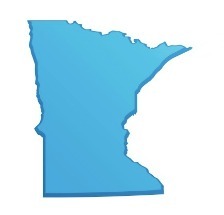 Education Minnesota, which represents 70,000 public-school teachers, adamantly opposed the measure, claiming it would “discourage educators from effectively advocating for their students.” Proponents believed the legislation would enable school districts to find the best candidates, and terminate those who were not adequately performing. In April 2012, the measure was tabled by an overwhelming majority. One additional area of focused educational interest is on the seven Anishinaabe (Chippewa, Ojibwe) and four Dakota (Sioux) reservations. The Minnesota American Indian Education Act of 1988 requires that funding be allocated to meet the unique needs of the reservations’ 16,200 students. As a result of the state’s efforts, the high school graduation rate for Native Americans in Minneapolis public schools has increased from 18 percent to almost 50 percent. Teaching is among the top 50 growth occupations in Minnesota, according to the state Department of Employment and Economic Development. Through the year 2020, a projected new 7,090 elementary-school positions, 3,230 middle-school positions, and 5,740 secondary-school positions will be created. The state anticipates an additional 36,620 job openings for teachers during that time, to fill teacher vacancies due to retirement and teachers leaving the profession. All of this points to a very optimistic job outlook for Minnesota teachers. Like most of the nation, Minnesota has also explored other education reforms such as performance pay and incentives. These reforms could prove highly beneficial to both new and existing teachers. There is also a push to equip Minnesota students with the tools and knowledge they need to pursue science, technology, engineering, and math (STEM) careers. The U.S. Department of Education reports several areas of teacher shortage throughout Minnesota, especially in STEM education, special education, and ESL/bilingual education. The middle- and high-school STEM program at Native Academy (NAC) in Minneapolis, operated by non-profit MIGIZI Communications, has become a nationally recognized model for Native American student success. Finding the Way, a collaboration between the University of Minnesota and the White Earth band of Ojibwe, brings math and science to students in hands-on projects, and introduces technology in fun and engaging ways. The program has raised math and science test scores. Reach for the Sky also aims to bring STEM education to the White Earth band of Anishinaabe middle-school kids. Minnesota school districts also offer competitive pay and compensation plans, including retirement benefits, health insurance, life insurance, and financial incentives for performance. Teachers ready for retirement are welcomed into the Minnesota Teachers Retirement Association, which provides pension and health insurance benefits. The organization assists everyone from novice teachers to retiring professionals, and provides retirement planning with workshops, personal financial counseling, and online tools throughout their careers. Normal retirement age is 65 with less than 30 years of allowable service, or age 62 with 30 or more years of allowable service. Once you’re a teacher in Minnesota, there is opportunity to take a leadership track and move up in school administration. The Minnesota Association of School Administrators (MASA) developed its “Grow Our Own” campaign to meet the demand for quality educators and education leaders. MASA provides workshops for existing early and mid-career school leaders in the state of Minnesota, and also provides grants to members engaged in creative professional development. The Association of Metropolitan School Districts serves as a legislative watchdog, and advocates for state education policy. Their position is that education must be the priority for the state of Minnesota, and that local districts should make their own decisions about education. There are additional benefits to joining the various teaching organizations available in Minnesota. Teacher organizations serve as advocates on behalf of teacher benefits, salaries, and working conditions. Teaching organizations in Minnesota also offer teaching resources including lesson plans, professional development seminars, classroom management tips, curriculum reviews, mentor-teacher relationships, and community within the profession. In Minnesota, a bachelor’s degree is required in the area of focus you wish to teach. A teaching certificate, student teaching, and the passing of a state exam and subject proficiency test are also required. In addition, you must complete a Human Relations course, which is included in all Minnesota-approved teacher-preparation programs. Teacher preparation programs outside of Minnesota may count, if the content of the program is equivalent. To explore the exact requirements for a Minnesota teaching certificate, as well as links and advice regarding documents, the certification process, approved teacher preparation programs, and contact information, explore the Minnesota Teaching Certification website.